We’ve all turned to a Krispy Kreme or four following a bad break-up. Seeking solace in comfort food is nothing new. But in reality it is more common to lose weight rather than gain it after a split. Women lose an average of 5lbs in the first month after being dumped, according a study by slimming product firm Forza Supplements. Furthermore, if they stay single for a year after the break-up of a long-term relationship they are likely to end up at least a stone lighter. The findings show that the ‘heartache diet’ – which sees women lose their appetite following the emotional upset of a break up – is actually effective: the turmoil caused by the end of a romance does indeed lead to weight loss. Almost half of the respondents of the study (46%) put their weight loss after a big break-up down to ‘emotional upheaval’ causing a drop in their appetites. Virtually the same number (47%) said they were determined to shift their weight because they wanted to look more attractive now they were back on the singles market. The research shows that newly single weight loss is extremely common with more than three-quarters of those polled (77%) admitting that they tended to be slimmer when they were single. And two thirds (68%) agreed that they had lost weight following a divorce or a serious break-up. The key factor determining the extent of weight loss after a love split is who ends the relationship. Women who have chosen to initiate the split tend to lose less weight than those who are the receiving line of the dumping. Women who dump their partners lose an average of just 3lbs in the first month of a split and just 7lbs if they stay single for a year compared to the women who are dumped who lose double that amount. Relationship experts believe the reason for this is because women tend to plan the end of a long-term relationship for months beforehand, and therefore adjust far more quickly to single life. 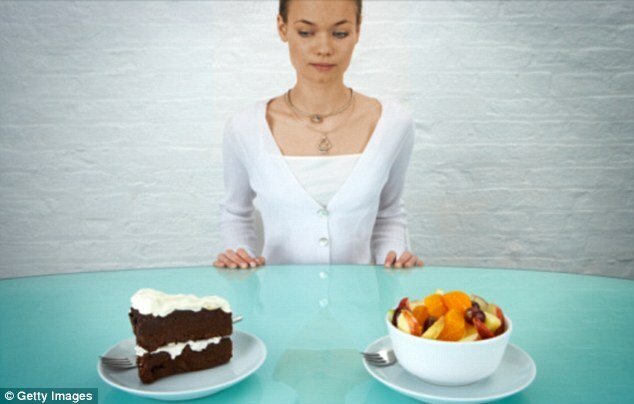 The study also revealed that entering into a relationship has the opposite affect on women’s weight than being dumped. Three-quarters of women (75%) admitted they put on weight when they enter into a serious relationship. The longer we spend with a guy the more weight we are likely to gain with more than a third (34%) saying they started to pile on the pounds three months after settling down with a new lover. This isn’t something that just effects us mere mortals, lots of celebrities have revealed how they lost weight following the strain of big break-ups. Eva Longoria, 38, admitted she lost more than a stone and suffered health problems after her split from basketball star Tony Parker. The former Desperate Housewives star said: ‘I was so skinny. I was not eating. I was depressed. I was sad. My diet was coffee. A Forza Supplements spokesman said: ‘All Forza research shows that single life is the biggest weight cure of the lot. ‘Being told, “You’re dumped” can be extremely painful, but for many people, particularly women, it is the spark they need to bring about real lifestyle change. ‘Most of our customers are women aged 18 to 35. They are either seeking help because they are happy with their partner but are piling on the pounds, or they are unattached and are keen to get in shape to re-enter the singles market. Cocoanuts announced the https://besttrackingapps.com release of the new version on their website we’re proud to announce that yourtube has the ability to import downloaded videos directly into your ipod app. Previous Post She might be a keeper.